Wellington Square townhomes for sale were cluster development before it was a popular urban planning term. They're located in the historic district near the Father Dyer Church. These 14 homes were placed compactly, and somewhat askew on slightly more than three acres so that there is a large, open landscaped yard. Each Wellington Square townhouse for sale is individually owned and lots size varies but averages to one-quarter acre each, more than a buildable town lot (.15 acre). 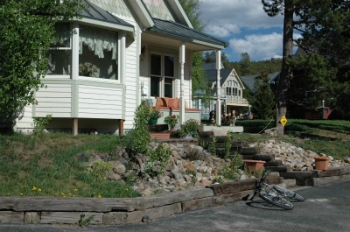 Open space parcels have been left on the edge of the historic district so that Wellington residents can hike or bike from these town homes to national forest. Start your search with the active Wellington Square townhouse listings below, or check out our additional community information. Welling Square was also ahead of its time in design. The homes are compatible with historic homes in the neighborhood, but are not copies of historic designs. They are obviously 20th Century construction with large windows and open floor plans. The Historic Society and the town, in an effort to keep the historic designation, have advocated for similar development that are in keeping with mining-era Victorian design but not copy cats. Located between Harris and High street, just three short blocks into the historic district from Main Street, any Wellington Square Townhome for sale will be walking distance to shops and restaurants. The free bus route is one of these blocks away, and the gondola and City Market are walkable distances, since these homes are one the northern edge of the district. The Wellington Place Condos are located a block west, closer to Main Street and consist of four residential condos on the second story with four commercial condos on street level. The Wellington Neighborhood is a New Urbanism development (Wellington Square was a pioneer in this style) a mile east on Wellington Road from these in-town homes. Size: 1044 sq. ft. to 2590 sq. ft. Amenities: in town, very close to free bus route, surrounded by small common space. From the traffic circle on the north side of Breckenridge, take the Main Street exit and continue on Main until the first stop light at French Street. Turn left onto French and continue one-third mile (4 blocks) to the next stop sign at Wellington. Turn left and after one block the Wellington Square Townhomes will be on your right. 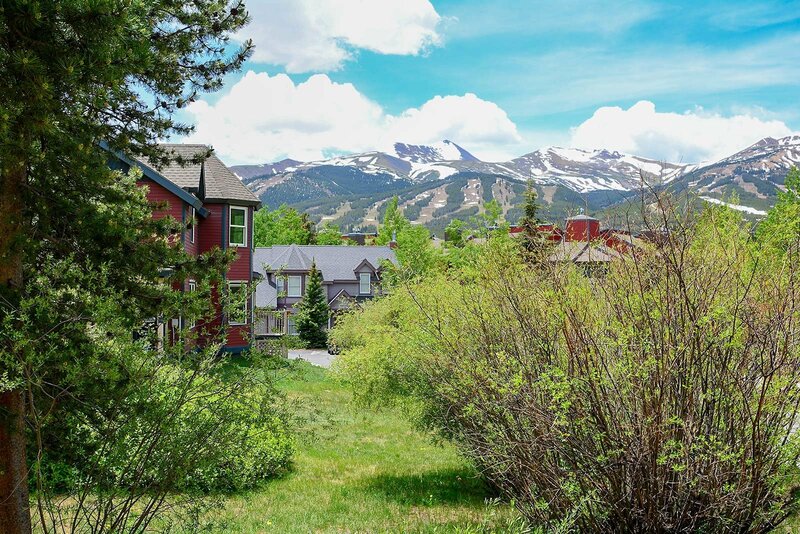 We are passionate about Breckenridge real estate and can't wait to show you around! Contact us today to talk with an expert.